What a fitting outfit for #throwbackthursday. When I was a toddler, my mom would dress me up in Oshkosh B'gosh overalls all.the.time. I don't have many pictures but I'll share some as soon as I find one with me wearing a pair. Anyway, I've been wanting to try the trend and waited to find the perfect pair. Insert Nordstrom and their anniversary sale. 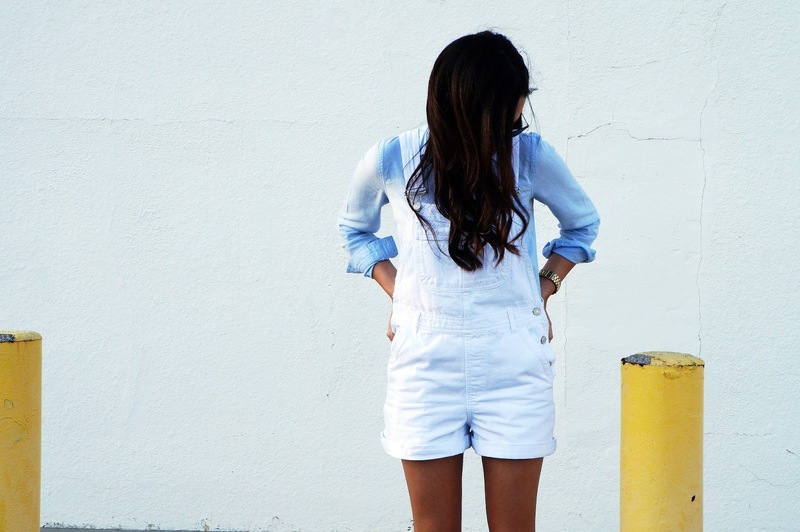 I purchased a few items during the sale including this pair of shortalls by Topshop for $35. I LOVE the relaxed fit and the fact that they're white, they'll go with just about anything! Did you score any good items during Nordstrom's anniversary sale? Do tell!